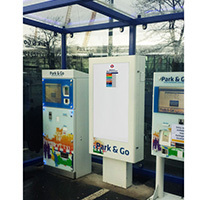 High brightness digital displays are essential for digital screens that are situated outdoors or in store windows, so the readability and longevity of the digital display is optimised. 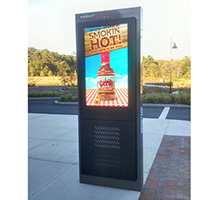 If a digital display’s brightness has not been optimised for exposure to direct sunlight, then it may be difficult to see any content on the digital screen at all due to the strong ambient lighting. There are also obstacles to overcome when producing the high brightness digital displays, such as overheating, water-resistance and the longevity of the digital screen. 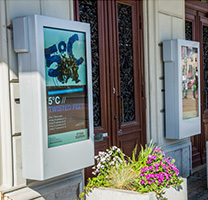 As well as ensuring that the high brightness displays are suitable for indoor use, Display Innovations have continually focussed on developing a solution to ensure that the high brightness digital displays are appropriate as an outdoor digital display by integrating the digital displays into our digital outdoor enclosures.